I suspect there will be yet more tricky twists and turns to negotiate in 2015. 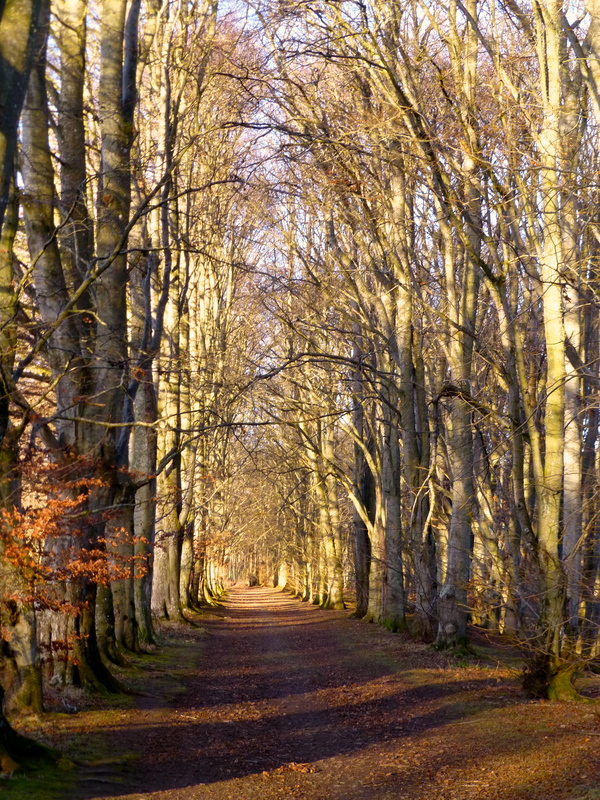 But for now the sun is shining in Aberdeenshire’s wintry woods. Happy New Year. 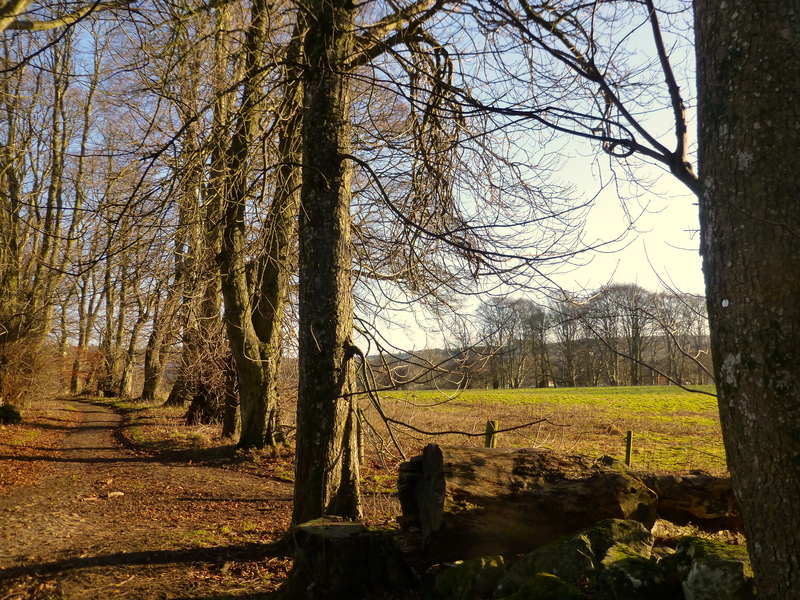 oooh I very much like the tree lined path photo. Lovely shots of those bare trees. Thanks – it’s the best time to appreciate their architecture and complexity. The wintry woods pictures are beautiful. Thank you Sheryl. I love our distinct seasons and am learning to be content in the moment rather than look forward to more colourful or warmer times. Thanks to Anneli I have just looked up the poem – it struck a chord. As always, I love your photos – they don’t need many words. Thanks for your company this past year and I hope we can share some good adventures in 2015. Yes, here’s to a new year, health and happiness. All the best Maggie. Such beauty. Happiest of New Years to you! And all the best to you too in your exciting year! I haven’t commented before, but want to say that I always look forward to seeing your posts in my inbox. Please keep writing and posting beautiful photos. Happy New Year! Gorgeous photos of the trees, love them! Happy New Year Nancy! Happy and safe travels! 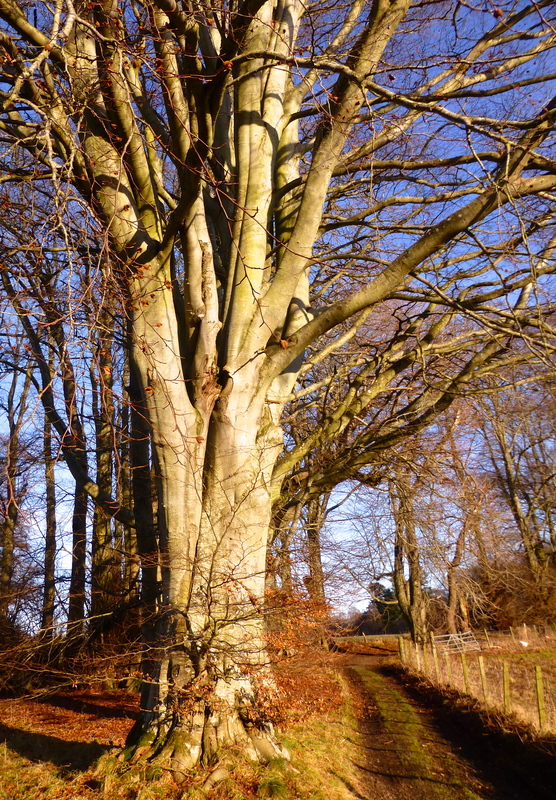 Thank you – fellow tree addict. Just for fun and to relax, I read fiction each night before going to sleep. I just read a book, which takes place in Gandiegow. If the author portrayed the Scots in her book, as they are in real life, then they are a strong, loving, talented and fun people. I enjoyed their language and strong dedication to family. I hope you are enjoying the road less travelled! Love these photos! And your reference to The Road Not Taken is perfect. One of my favourite poems ever. I quote it to myself when I’m mushroom picking, to remind myself to go where others have not been (and so, hopefully, to find mushrooms they’ve missed). Interesting to hear a practical interpretation of the poem Anneli! And I look forward to following your adventures in this new year, whatever it brings.